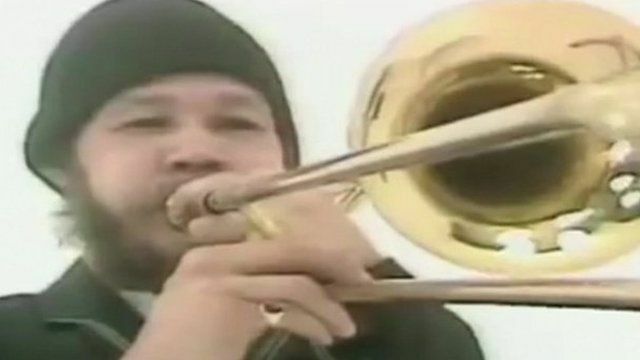 Rodriguez 'a tremendous musician' Jump to media player Rico Rodriguez , the trombonist in ska band The Specials has died at the age of 80, the group has announced. The Specials perform 1979 hit Jump to media player Rico Rodriguez, the trombonist in ska band The Specials - whose hits included A Message to You Rudy in 1979 - has died. The trombonist in ska band The Specials has died at the age of 80, the group has announced. Rico Rodriguez was a ska and reggae musician who played with the band on songs including the 1979 hit A Message to You Rudy. Speaking to the BBC, fellow band member Horace Panter described Mr Rodriguez as "a humble man" and "a tremendous musician".